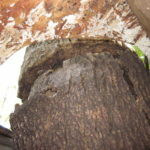 Contractors & Engineers sound reliable, but they almost never leave enough growth room for the trees, leading to severe tree injury and death in a very short time. 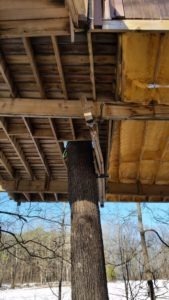 Arborists know trees well, but most have not worked through the tree to structure interface issues, incorrectly use arboricultural hardware for supporting different types of loads, and sometimes display poor carpentry skill. Owners & Managers are reluctant to pay travel expenses to a better company (like us) and so take a chance with a less experienced local person. A couple of builders we know consistently throw out low estimates but then their time & materials bills add up to 2-3 times the original estimates. Some of this might be their honest mistake due to lack of experience, but you get stuck with the bills while they move on to the next victim. 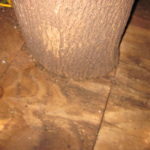 Treehouse Repairs: What to do Now? 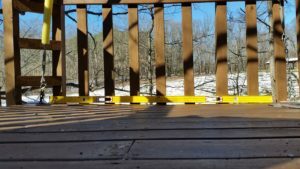 Once you realize that your treehouse has problems, the first thing to do is take a few pictures and send them to us for a free review. We can then give you an idea how repairable the problems are and an estimate for us to make the repairs. Of course, it’s better if we come to the site to evaluate in person, but that costs money and you’ve already been burned once. 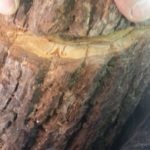 So let’s start with a simple free review and discuss realistic repair expectations for budget, structural stability, tree longevity, and anything else that concerns you. Many commercial owners of bed & breakfast type companies in the past few years have told us that they would have paid less and gotten a better treehouse by hiring us first. Our original estimates are usually higher than small local competitors. However, we can offer you a fixed price and we include everything so there are no surprises at the end or unfinished projects. If you prefer a time & materials arrangement, then we give you an honest estimate that is as likely to come in under budget as over. No tricks, just good estimates that include sufficient budget to do the job right. How is Tree Top Builders Different? In a word: Experience. 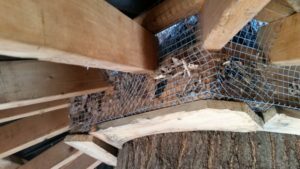 Repairing treehouses and avoiding problems takes an understanding of the issues at the design and early construction stages of a project. Fewer surprises. Lower overall cost. In business since 2003, well before the TV inspired companies jumped on the trend. We can provide references upon request, and they will be good, but I don’t advise choosing a contractor this way as it is way too easy for a bad contractor to cherry-pick their best customers or even a non-customer who will speak well of them (yes, I know other contractors who do this). If you can’t tell by the way this is written, I do business in a straight forward way and want to set clear expectations and then meet them. I don’t want to talk bad about my competitors, which is why I won’t publicly name any names, but I am fed up with losing work to competitors who low ball estimates and then build sub-par work and leave it to us to clean up their messes, often after a client has little or no money left to pay us to come in and do what should have been done at the beginning. It’s happening too often to be silent on the issue.